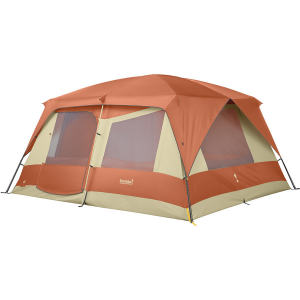 Ideal for campers looking to maximize living space, Eureka!s Copper Canyon 6-Person Tent features a spacious footprint for sleeping or hanging out with your family. Cabin-style, fiberglass- and steel-framed vertical walls create 7 ft. of vertical space for standing up, stretching out or crashing on your cot. Dedicated, zippered E! 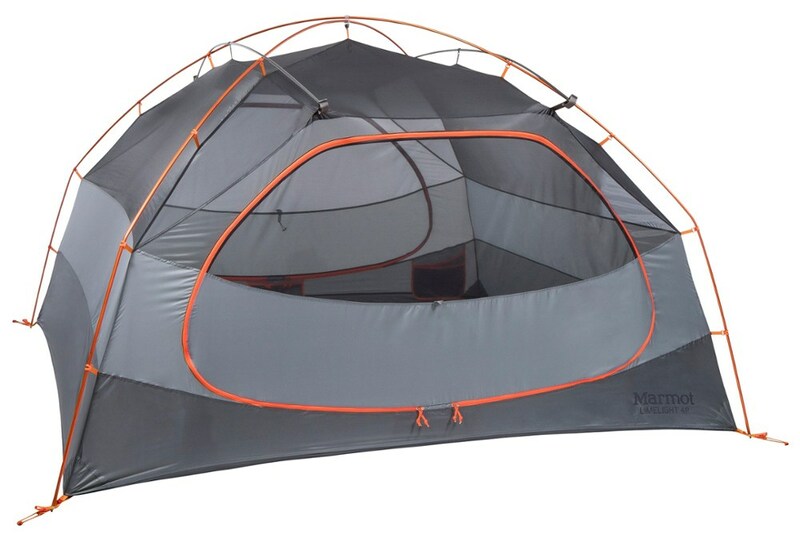 Power Port allows you to easily run power cables to your tent. Bathtub-style floor seals out ground moisture. Storm guy-out pockets stow guy lines during setup and takedown. Gear loft and high-stash pockets store gear. One door. Assembles easily using clips, poles, sleeves and ring and pin. Imported. Color: Copper. 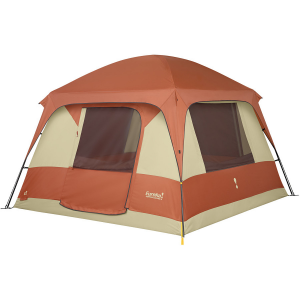 Type: Cabin Tents. 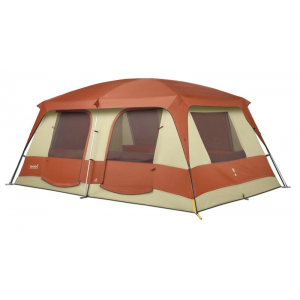 Eureka Camp & Hike Copper Canyon 6 Tent - 6 Person 3 Season 2601306. Near vertical walls in this cabin-style tent are ideal for cots and air beds where you can relax to the sounds of nature. Loads of head room and windows for ventilation are a hallmark of this model. Combination steel and fiberglass frame. Relax in a cabin in the woods. Near vertical walls in this cabin-style tent are ideal for cots and air beds where you can relax to the sounds of nature. Loads of head room and windows for ventilation are a hallmark of this model. 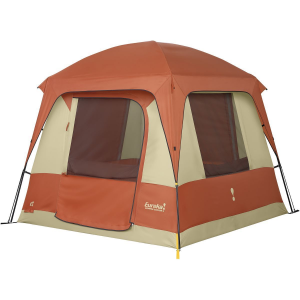 Combination steel and fiberglass frame. . . . 6-pole Cabin style tent. . Vertical walls offer maximum use of interior space, making the tents ideal for use with cots. . 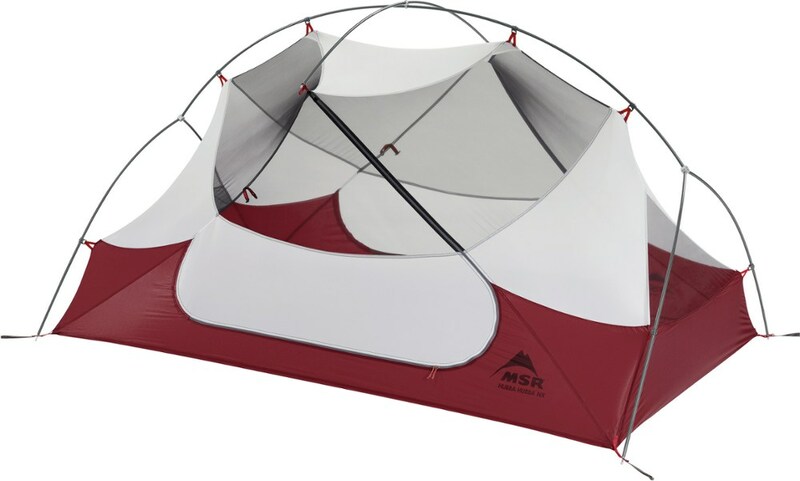 Durable combination steel/fiberglass frame with clips, pole sleeves, and ring/pin assembly make set up easy. . The zippered E! 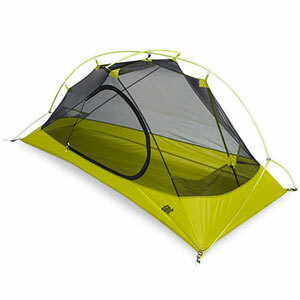 Power Port allows you to bring an electrical power cord inside the tent. . Yellow-to-yellow web match on tent and fly together with clip attachments and ring/pin assemblies take the guesswork out of set up. . High-stash pockets and gear loft keep essentials close at hand and easy to reach. . Storm guy out pockets stow guy lines on fly during set up and take down. . Sleeping Capacity: 6. . Floor Size: 10 ft. x 10 ft.. . Interior Peak Height: 7 ft.. . Minimum Weight: 23 lb. 2 oz.. . Pack Size: 8 in. x 26 in.. . Floor Area: 100 sq. ft.. . Doors: 1. . Storage Pockets: 2. . Gear Hammock: 1. . Pole Attachment: Pole Sleeves, Clips, Hubs, Ring & Pin. . Imported. .